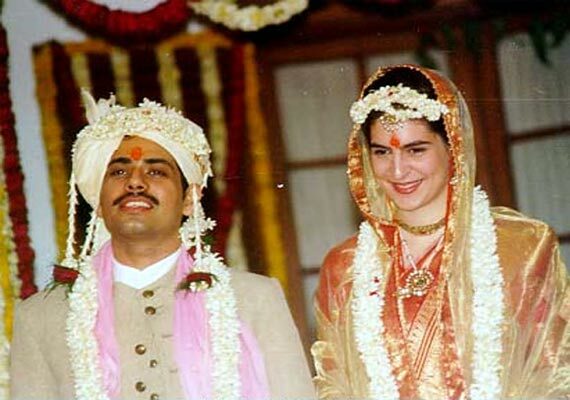 Priyanka Gandhi is married to Robert Vadra, a businessman from Delhi. The wedding took place at the Gandhi home, 10 Janpath, on 18 February 1997 in a traditional Hindu ceremony.They have two children, Raihan and Miraya. Priyanka Gandhi is a follower of Buddhist philosophy and a practitioner of Vipassana as taught by S. N. Goenka.